Prescription heroin might help treat drug addiction, according to a new report calling for US cities to study it with drug users who have failed other approaches to recovery. President Trump last year declared the US overdose crisis a national public health emergency. More than 70,000 people died last year in the US of drug overdoses, roughly half of those deaths involving heroin or fentanyl, a dangerous opioid that’s showing up in lots of other illicit narcotics nationwide. Citing the emergency, the RAND Corporation report released on Thursday notes that countries such as Germany, Canada, and the United Kingdom allow prescription of “medical grade” heroin to increase recovery from addiction, while reducing infections and costs associated with healthcare and crime. Right now the gold standard first treatments for opioid use disorder are methadone and buprenorphine, opioids used to satiate cravings in drug users and begin tapering them off drugs over months to years. Both are scarce, with less than one-third of people needing treatment having access, according to a 2016 US Surgeon General analysis. The RAND report looked at 10 past overseas clinical trials of “medicine grade” heroin being injected regularly into drug users. Overall, they found the ”strongest and most-consistent effects” from heroin assisted treatment were in older drug users unable to recover from addiction, finding it works better than methadone in spurring their recovery and cutting their total heroin use. “It’s not a frontline treatment or a silver bullet, but it might be worth trying for people who have been trying to recover for a long time,” Kilmer said. The report authors also talked to researchers and public health officials in countries that tried the practice, as well as officials, doctors, and sheriffs in Ohio and New Hampshire with high overdose death rates. The big hurdle to prescribing heroin this way is its illegal status in the US, they concluded, even more restricted than often abused drugs such as cocaine or strong opioid painkillers such as hydromorphone. For that reason, his team recommended trying the prescription heroin approach in medical studies in a few cities, the only currently legal way to provide it to people in the US. One expert queried by BuzzFeed News, Leo Beletsky of Northeastern University, said the evidence was already “overwhelming” that heroin assisted treatment could help some people with opioid use disorders. A 2011 review by the UK-based Cochrane Collaboration, for example, found good evidence that it was a useful approach, cutting jail rates, improving recovery and reducing overall drug use. Heroin treatment was once standard for addiction in the US a century ago, the RAND report notes, but was prohibited under the 1914 law that outlawed the drug. 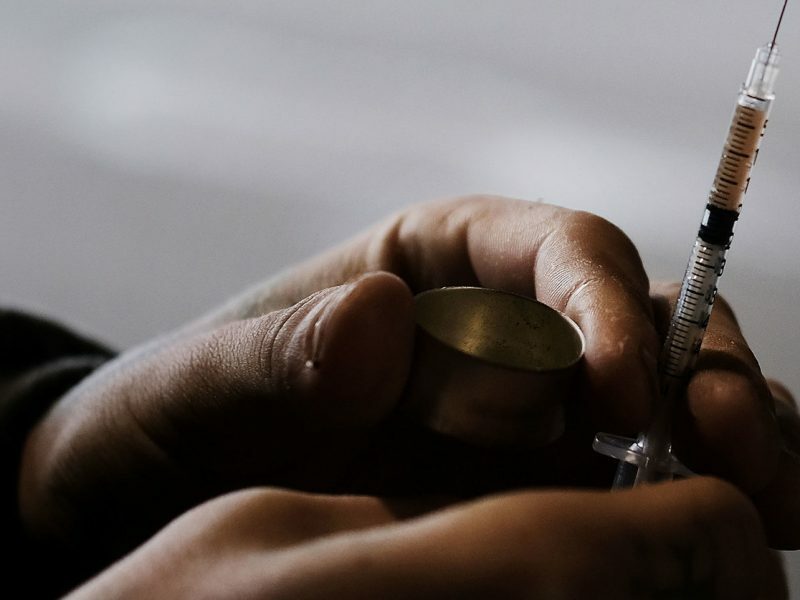 Brandeis University’s Andrew Kolodny was more dubious of prescription heroin, saying the approach in the past had been tried in countries that were largely past the heaviest wave of a heroin epidemic, not one at the crest of one like the US. “There are likely people who might benefit from this out there, but we have no way of telling them apart from people we could help with safer approaches,” he said. More than 2 million people in the US are thought to suffer from an opioid use disorder involving painkillers or heroin.